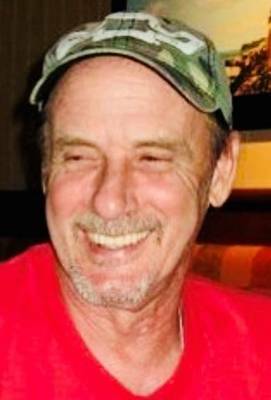 Joseph J. Macko, 73, died on Saturday, February 23, 2019 at Overlook Hospital in Summit. Joe was born on July 19, 1945 to the late Joseph A. and Teresa J. Macko in Richmond City, North Carolina. Mr. Macko had resided in Linden and Edison for several years prior to settling to South Plainfield. He graduated from Edison High School in 1963 and two years later, in 1965, he enlisted in the US Army and proudly served until receiving his honorable discharge in 1967. Upon his military service, Joe worked for Purolator Filters in Rahway followed by Con – Lux, now Sherwin Williams in Edison for many years prior to his retirement in 2002. An avid collector of Railroad memorabilia, Joe enjoyed trains, hot rods, gardening and a good old fashioned barbeque. In addition to his parents, Joe is also predeceased by his wife Rosa and is survived by his children, Melissa Macko and her fiancé Justin Elliott of South Plainfield and Joseph R. Macko of Edison; siblings, Jane Schick and her husband Jeff of NC, Richard Macko and his wife Lillian also of NC and Robert Macko and his wife Mary of TN and his three grandchildren, Joseph Zuffanti, Brayden Macko and Dillon Elliott. Also surviving are two nephews, David Macko of Fl. and Robert Macko of NC. Visitation will be held on Wednesday, February 27, 2019 from 4-8pm in the McCriskin – Gustafson Home For Funerals 2425 Plainfield Ave. South Plainfield, NJ 07080. Relatives and friends will be gathering in the funeral home on Thursday, February 28, 2018 at 10am prior to the Entombment Services at 11:30am in the Mausoleum Chapel at Clover Leaf Memorial Park, Woodbridge. Donations can be made to the Wounded Warrior Project.